Estancia La Jolla Hotel - Hacienda experience with amazing restaurants, award winning spa and an experience that will take you a world away. 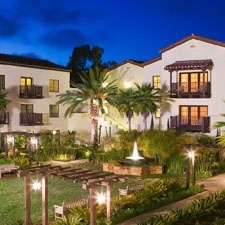 This incredible hotel sits on 10 acres of lush gardens and is just 20 minutes from San Diego airport. Pantai Inn – Spectacular views of the Pacific Ocean await at the Pantai Inn! This top rated hotel sits on the La Jolla coast and is rated #1 in trip advisor for all of San Diego. If you’re going to San Diego, why not stay in the best? Inn By The Sea – Experience un-paralleled comfort in the heart of the La Jolla Village at the Inn By The Sea. Whether it’s for business or pleasure, you won’t want to leave once you’ve seen what they have to offer. Capri Beach Accommodations – Get an oceanfront condo surrounded by shopping and dining in North Pacific Beach on the La Jolla rim. An exciting combination of seclusion and adventure await at this incredible vacation rental. Soulshine - healthy/vegan eats in the heart of Mission Beach - steps from the ocean! 5th Ave Tap + Kitchen – This unique and fun dining experience is located in the heart of Hillcrest in San Diego. 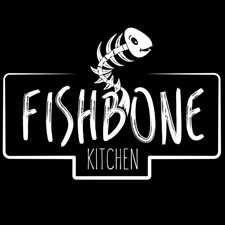 Fishbone Kitchen – located in San Diego's public market in the hot Liberty Station, this seafood market doubles as an oyster and raw bar! Spice & Soul Kitchen + Tap – Spice + Soul specializes in comfort food, craft beer and embracing the casual San Diego vibe. They offer an excellent, rotating craft beer selection that includes 20 taps. Gianni Buonomo Vintners – San Diego’s award winning urban winery in the heart of Ocean Beach. Trinitas Cellars Wine Bar at Estancia – Not only will you find award winning wines, but they also offer a host of local craft beers and amazing cocktails. 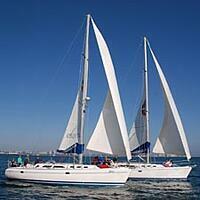 Sail San Diego – Sail around in the bay, out in the open water or customize your own trip! Spend your BizX on a fun adventure day-sail! The GRID - The Mad Scientists at the GRID have combined the classic game of laser tag with cutting edge virtual reality technology. Hot Tub Cruisin – Cruise around Mission Bay in a one of a kind hot tub boat! Legoland Day Passes - Legoland California features more than 60 rides, shows and attractions. The Resort is also home to the world's first water park with the unique build-a-raft river. Pick up some passes for your next San Diego adventure! The Spa at Estancia – Dubbed the “Best Spa” by San Diego magazine, this 7,000 foot sanctuary offers massages, facials, body skin care, waxing and other amazing services! Traveling Hands Massage – Bringing the massage to you, Traveling Hands Massage is ready to meet your specific needs in the comfort of your hotel room! Alcheme Health – Conventional and natural medicines collide at ALCHEME Health! Located in Little Italy, this is the modern take on the traditional medical wellness spa. Chiltonic Cryotherapy – If you’re seeking relief from chronic pain, an athlete looking for quicker recovery and enhanced performance, or someone trying to reach health & beauty goals, cryotherapy has you covered! Stock up on Restaurant Gift Cards Before You Go! Tell us what your idea San Diego trip looks like by filling out a travel request form! This will get our travel team on the case, and they'll be reaching out within a few days to help you book a San Diego trip you'll never forget!